This week I have some guest mystery objects for you, provided by Paul Offelman-Flohic of the Écomusée du pays de Rennes. These are specimens that survived a fire, but lost their information, so let’s help fill in the blanks! I recognise these specimens and I expect many of you will have a pretty good idea of what they are, so a bit of cryptic punnery (is that a word?) in the answers would be fun and will help avoid spoiling the challenge for everyone else. Amusez-vous bien! Second, maybe a shrew (family Soricidae). If yes, should be the common shrew (Sorex araneus) for same reasons above. It seems to be a Deyrrolle piece too. Third, the anterior harm of the mole (Talpa talpa). Seems to be the same thing (Deyrrolle house) of the previous ones and this is mounted to didactic exposure. All of them are Deyrolle didactic products indeed. The last two are parts of the same native animal, very underground and short-sighted. As for the first two photos… Not that it helps much with the identity, but the hind limbs are weird. Normally when you see two parallel bones in the section of leg above the foot you think “Tibia and Fibula,” but not here! 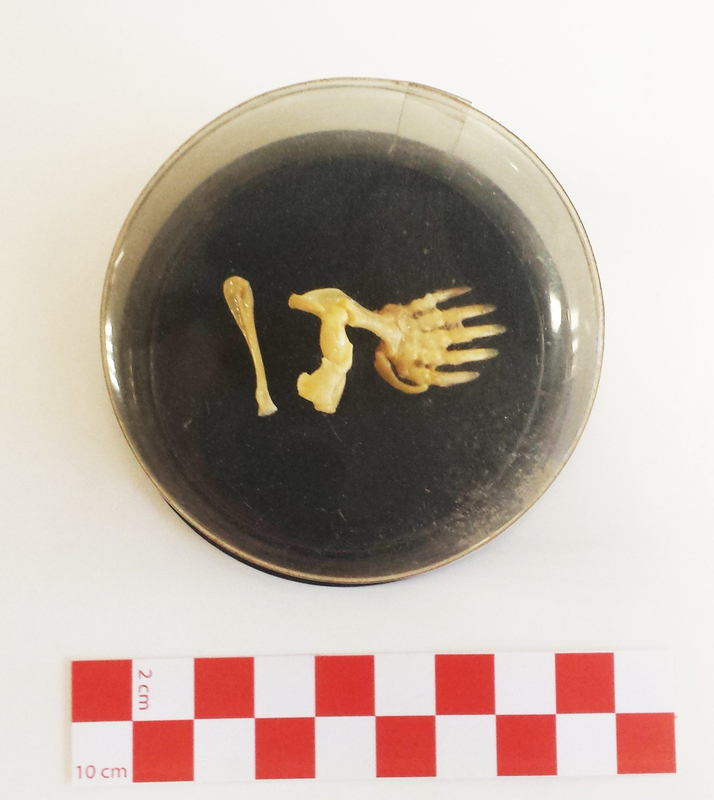 The fibula seems to be absent, but the next segment down (tarsals? metatarsals?) has a “pseudotibia” and “pseudofibula”! If we didn’t know it was a real animal we’d think this was a stupid mistake by an artist designing a monster for the cover of a cheap paperback. Threeshrews are taxonomically speaking not shrews (Order Soricomorpha), vernacular names are so tricky. Much as elephant shrews shrews (or elephants) and the Giant Otter Shrew is neither a shrew nor an otter! As you say, vernacular names are tricky. To clarify: the slender cheekbone in photo # 3 is similar to that of moles. I’m not CONFIDENT Wouter is right, but I’m leaning in his direction. Tt looks like a casting call for “The Wind in the Willows” by Tobe Hooper! Don’t you mean “écomusée du Pays de Rennes” since it’s in France? Nope, just clumsy and inattentive. I googled the name to find the website and that’s what came up in the Google summary snippet.I’ll report it as incorrect! Bufo, bufo, mole (? 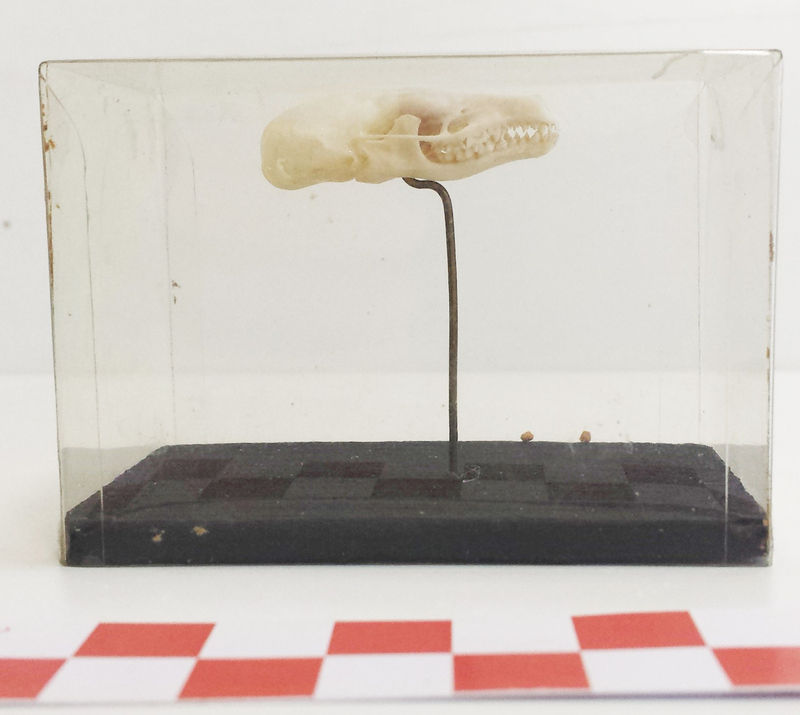 ), mole – bad photo of mole skull. I have a good one, but don’t know how to share it. It´s true! The second one is a mole too! https://polldaddy.com/js/rating/rating.jsDeyrolle, reminds me elementary school, it was a classic in Biology class rooms. 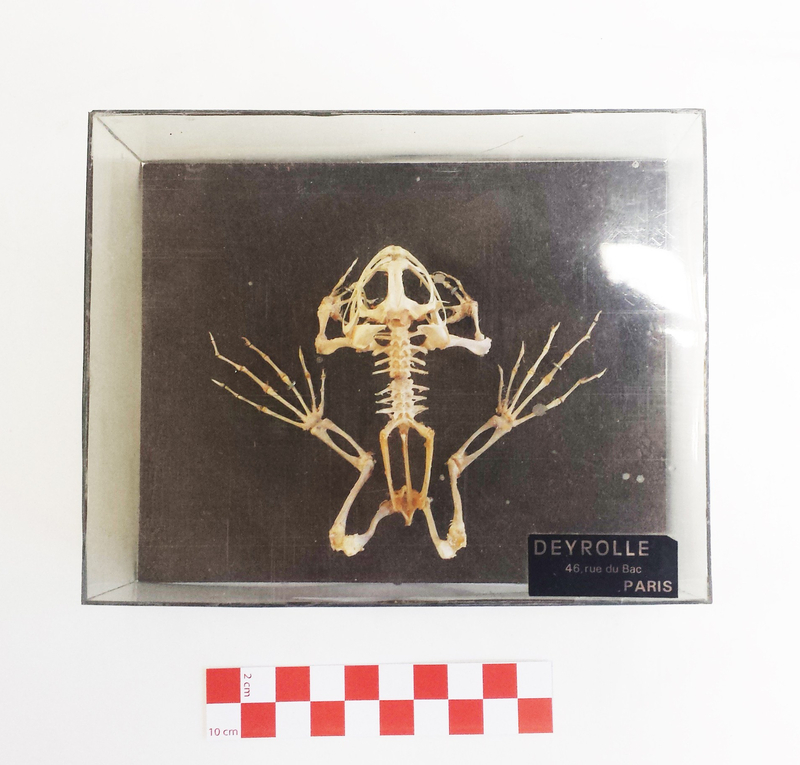 Specimen on picture 1&2, sure it’s an anura, no other tetrapod has a urostyle. If you kiss it, you will be disappointed, because of the teeth on the maxillary, it won’t be a prince, more likely a pasta maker. Skull on picture 3. Shrews have no bone related to the name of this blog. The lower incisor is to small to belong to a spiny friend, so that it should be one who maintains his secret identity. Lower left arm same species as the skull. Such a short and twisted humerus is made to swim … in the earth.